Very Happy Corvette Owner!! I was extremely please with the prompt delivery of my Corvette Pinball machine. The packaging for shipment was perfect to keep from damaging the machine as it went down two sets of stairs. The Pinball Machine looked just like new and worked perfectly! the follow up support by Brooke was great. Thank you from another satisfied customer!! I purchased the Big Buck Hunter Pinball machine as a christmas gift for my wife. I can not tell you how pleased I am with it. I know my wife will love it as well. My son and I accepted delivery in MA and transported the machine to our cabin in Maine. Following the instructions, set up was a breeze. The theme of this game fits perfectly with our remote cabin in the Maine woods. The machine was very well packaged and arrived in super condition. Just wanted to drop a note of appreciation to you all. Our machine arrived safe and sound yesterday and we’re just thrilled. Exactly as you said, it’s in superb condition and all functions operate perfectly. It is all we could have asked for and a wonderful addition to our game room.After our horrible experience w/another source, we nearly decided to let the idea of a Pinball machine go because it was too much risk buying unseen goods. We’re so glad we made the call to The Pinball Company. The product is precisely as advertised, your packaging for shipment was well beyond what could have been expected and the delivery/setup process went just fine.Thank you for a job very well done……..Elvis is in the building to stay………. Nic and Brooke, I received my Whitewater pinball today in very excellent condition. I could not believe how well it was prepared for shipping. When I saw the machine strapped to a very substantial shipping pallet, encased with numerous layers of plastic wrap, cardboard edge protectors, three shipping blankets, the legs individually wrapped, and un-packing and set up directions conveniently attached to the top I could tell that I was dealing with a very professional organization. My quest for Whitewater took me to many shady and some absolutely non-legit "companies" that I was shocked to come in contact with. I did find a few companies that seemed reasonable and trustworthy but none of them even came close to impressing me as The Pinball Company has. Brooke was very kind to email me pics of Whitewater when it soon became available and also when it was ready for packaging for my approval. This was very much appreciated. Delivery was quick and on time and the driver brought our curbside delivery directly into our garage. He couldn't have been nicer. After unpacking the machine was found to be in excellent condition and plays flawlessly. I am extremely satisfied with the pinball machine and the experience dealing with The Pinball Company. Thank you so much for making this all happen. I would absolutely recommend your company to anyone in the market for a pin. If they would go directly to you they could avoid a whole lot of aggravation. We purchased the Addam’s Family pinball machine from The Pinball Company in Feb. 2013. We had used the machine in several arcades and loved the different features. 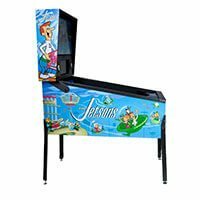 We searched online to purchase the machine for our finished basement and found it listed in several places including Ebay, Craig’s List and The Pinball Co.. After doing research, we found the machine to be slightly more expensive at The Pinball Company. However, the tech support they provide is extremely valuable, not available from the other sources, and well worth the extra cost in the purchase of the machine. The Addam’s Family machine is vintage early 1990’s and is a complicated machine comprised of many solenoids, switches, and wires. We bought the machine through Brooke and Nic Parks at The Pinball Company and they have been wonderful to work with. We use our pinball machine a lot and have had a few problems over the past 18 months. Most of the problems have been very simple - like a wire becoming detached. Our most serious problem involved the main display going out. In each case I was able to speak with Nic and he walked me through diagnostics. I am somewhat handy and have been able to fix all the problems to date with Nic’s guidance. He has also sent parts at little or no cost. We couldn’t be more pleased with our purchase through The Pinball Company and their ongoing support! The well-meaning denizens of the pinball enthusiast corners of the internet all suggested to me in unison "Don't buy from a retailer, you will pay more than the machine is worth." Armed with their seemingly sound advice, I set out to search for our Indiana Jones pinball machines through the smokey crevices and back-alleys of the internet. Craigslist, eBay, Pinside, KLOV. They all contained promising leads that ended in disappointment. Over-priced, poor condition machines, sellers not interested in shipping and a few shady characters later, I discovered The Pinball Company and engaged Brooke for pre-sales question. She was fast, attentive and courteous at every step of the process. In the end, it came down to a well-known arcade distributor or The Pinball Company. The level of service and machine quality advertised by The Pinball Company led me to choose them for our Indiana Jones pinball purchase. 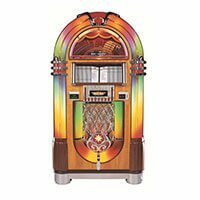 The machine was priced comparably to others on the internet but the condition was nearly perfect. Our expectations were exceeded at every turn! An expertly packaged machine (3 blankets, bubble wrap all safely wrapped in layers of plastic) arrived for reasonably-priced curbside delivery sooner than expected. The driver was friendly and courteous, came at the appointed time and was helpful getting the pallet into our garage. Thanks to a neighbor, a dolly, clever instructions and thoughtful packaging from The Pinball Company, we were playing the machine within an hour of delivery. I purchased the Addams Family pinball machine through The Pinball Company. Their delivery service delivered and set up the machine (we live in California). I have called The Pinball Company a couple of times with questions regarding the pinball machine. Nic and Brooke (the owners) are very professional and courteous in our conversations. I had my first service call (included with the purchase) and they sent out Chris --The Pinball Pirate. This guy is a die-hard and really knows his stuff when it comes to pinball machines! This guy was on a mission from the time he arrived. I was really impressed! Chris is also great to deal with. I normally don't purchase big ticket items on the internet, but I really wanted the Addams Family pinball machine and the positive feedback about this company persuaded me to make the purchase. I'm really glad I did! I would highly recommend this company. Thanks again for your help after the fact. A lot of businesses would have had a different attitude, something along the lines of you are on your own. I work at the biggest new car dealership in the state of Ohio, and we know the importance of customer service after the point of delivery. Your efforts have been outstanding, I will recommend you to anyone in the market. I wanted to thank you for standing behind your product after the trucking company damaged the pinball machine. You kindly replaced the broken door and plunger which I installed today with the help of the video that you sent along explaining how to switch out the parts. In putting together my game room there were two items that were damaged during shipment, the other company refused to either help me or call me back and it cost me $500 to repair the game. I want to highly recommend your company to any person looking for a pinball machine as they can be assured that you will stand behind your product. Thanks again for your help. This is the first testimonial I have written since I haven’t been strongly compelled to write one until now. Being in the advertising and marketing profession, I am well aware of the term Customer Relationship Management. Brooke and Nic are living examples of how to implement CRM effectively and successfully, as indicated by other testimonials on the Pinball Company website. I would just like to add my experience after purchasing a pinball machine from them. Evident from the testimony of other customers, Brooke and Nic have perfected the pre, during and after sale stages in dealing with customers. However, for me what was significant was how they handled a persistent product failure situation. After actually having done their part, they went above and beyond what one would expect. They not only sent a reliable local technician but also shipped the needed replacement parts. While it took a while for the technician to finally get to the root of the problem and successfully solve it, they continued to provide the valuable and needed support. Brooke for example, would periodically follow-up with phone calls to see how things were going and if parts were received. To summarize, the true key to success of the Pinball Company is not the efficient purchase and delivery system, nor the products they sell, but rather Brooke and Nic. With their focus on complete customer satisfaction over just providing what is promised, they are the epitome of “customer service”. I for one look forward to a continued relationship and future purchases, and would not hesitate to recommend them to others. I just wanted to thank you for being so supportive and helpful. You have really gone above any customer support that I have ever had. I do highly recommend your company to anyone that asks where I got my pinball machine and I let them know just how far you guys go to make sure the product is in top working condition. So again, thanks for everything! I recently received my Data East Star Trek pinball machine this week. I just want to say Thanks to Brooke for answering the many questions I had during the ordering phase. Nic, thanks for helping me trouble shoot the lost ball mystery upon delivery. I am sure I may have some more questions and need for assistance down the road. I was initially a little hesitant about making a purchase from a company I found on the net and item unseen before purchase, but both of you had made this a very pleasant experience, Thank You. Let me begin by stating I normally do not provide a testimonial, however in this case I felt it necessary. I selected The Pinball Company for our most recent purchase of gaming equipment. The purchase amount was close to $20,000.00, so it was very important to find the right organization to conduct business with. From the very first phone call to the delivery of our order, Brooke was on top of everything. I found The Pinball Company to be first class, with true customer service and follow through. Everything was delivered as Brooke indicated and she kept me informed during the waiting period. 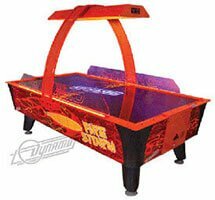 I would encourage anyone who is interested in entertainment equipment, either large or small to contact The Pinball Company, I can attest, you will not be disappointed. Shopping out my first pinball machine can be compared to conducting a job interview. I called countless individuals all over the country before placing my bet on Brooke and The Pinball Company. It was clear to me that Brooke had the knowledge, expertise, and love for the service her and her husband provide to people in giving new life to used pinball and arcade machines. Brooke also helped me decide which pinball was right for me and before long I received my Theater Of Magic. My initial thought when it arrived was, “If this was used I sure would love to see what a high end restore is.” That dream came true when I recently received my Twilight Zone high end restore (complete with LED’s). WOW! They weren’t kidding when they said “better than new”. Of course, I have to add that post sales support is spectacular. Brooke was extremely helpful in answering my technical questions and helping me obtain the “extras” that I was looking for on each of my machines. Last but not least, she doesn’t forget who you are! You won’t be disappointed with your new, used, or high end restore from Brooke and Nic. Thank you so much for such a great experience on our purchase of a Pinball machine. Your business provided wonderful support, knowledge and very fast shipping. When ever we have needed advise or equipment you have been there to assist at all times. The game play and condition of our spider man pinball machine was just as you stated, in mint condition. We look forward to doing business with you in the future. 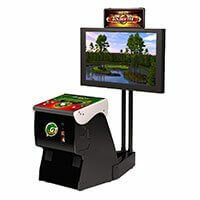 Hi There, I'm sending this to thank you and everyone at the the pinball company, I got the Golden Axe machine in today and it works great, It brings me back to when I used to play this game at putt-putt. I am amazed at how clean and new the machine looks. I will definitely be buying my next machines from you. Thank you so much for your excellent service. For Christmas, we ordered a Roller Coaster Tycoon pinball machine for our daughters. The shipping was going to be tight, but Brooke helped us monitor our shipment the whole way. She was very helpful and responsive. The pinball machine made it just in time for Santa and was in perfect condition. We have been thrilled with the quality of our purchase and with the customer service. We highly recommend The Pinball Company!. I have never written a testimonial for any purchase I have ever made but felt the need to do so after working with Nic and Brooke. Your knowledge and patience in helping me select a pinball machine for my family was endless. I surely would have made the wrong selection without your input!!! You took so much time to help me determine which machine would be the perfect one for us. My kids and husband LOVE Monster Bash. I was impressed that anyone would spend so much time on the phone with me teaching me all I need to know about the different games. You both have such a passion for your work and you made this process so enjoyable for me. Thanks for all your help. I would love to share my opinion and experience with your company. I have to admit that I did do a little research before our final purchase. My biggest concern was the aftermarket and tech support of the machines. I asked other people who they used and the response was, "We will help you find someone," or We will walk you through any difficulties." Brooke was kind enough to tell me who and what locations they had in my area. It meant a lot to me in my decision process. She was very patient in answering my questions and saved me a potential problem when I mentioned ordering a machine that had Chinese circuitry that would have been a major repair problem, let alone a copy write issue. For that I am very grateful. (I found out later she was 100% correct) I did have one minor issue...One of my two machines was delivered with a pretty good sizes dent in one leg. (more an appearance issue rather than structural integrity) She said she would take care of it and a new one was on my doorstep within two days. My call was more of a notice for her to contact the shipper. I have had two people ask for a referral because they loved my machines. I would not hesitate to purchase other or more machines from them. Good luck and thank you for the service. I want to thank all of the folks at the Pinball Company for doing an outstanding job. The Creature From the Black Lagoon arrived in pristine condition and the movers noted the extra care you folks took in packing it for shipment. The driver said "I have never seen a pinball machine so well protected for long distance delivery". Thank you again, and I give you folks the highest marks for customer service and attention to detail. I will also be calling in about 4 weeks to order another machine. Experience, service and trust are characteristics not often found in a company. I am happy to say that all three exist in The Pinball Company. Nic and his staff have responded to all my needs and provided my family with quality pinball games we will enjoy for many years. No matter what the distance, The Pinball Company has reached out to provide service and earn my trust. They do a great job! Nic and Brooke at The Pinball Company are a pleasure to work with. With a recent classic arcade machine purchase, they took the time to patiently explain various options, and actually influenced me to purchase a less expensive machine that was actually a better fit for what I was looking for. I have been pleased with my purchase, as well as their attentive commitment to customer service. Brooke, just wanted to drop you a line and say thanks again for the beautiful job on the NBA Jam game. I changed the one button contact like you said and it works great. In fact Clarence had a party this past weekend and everybody couldn't believe that a game so old looked so good. Again thanks and I'm sure I will be in touch for more games in the future. This company was easy to work with. They answered all my questions without making my questions seem trivial or unimportant. They fulfilled my requests when I needed the item shipped to a different location even after it had shipped."